Glenn’s personal mission has always been to help others self-heal the way nature intended. He has a passion for helping others seek balance of spirit, mind and body through a light and therapeutic menu. It is his goal to generate funds through Certified Hieronymus® sales to start a non-profit organization and develop trust funds to help children experience healthy lives. Assistance for the children will be provided through natural balancing techniques integrating with appropriate health care providers. 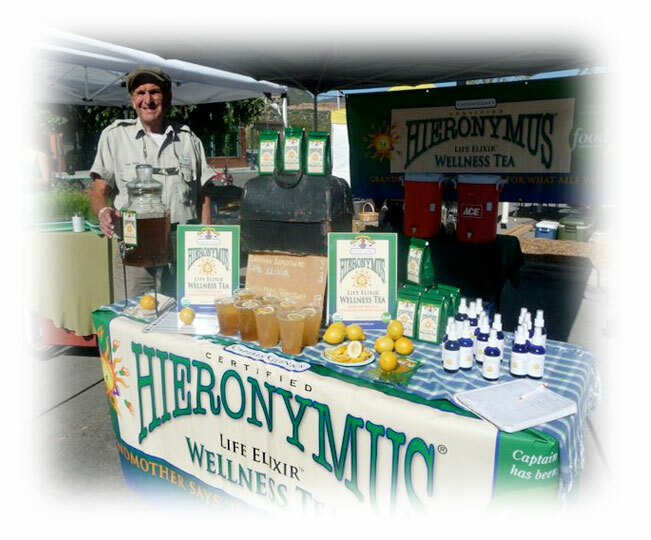 “My recipe for Captain Glenn’s Life Elixir Wellness Tea has an interesting past. It extends back to when I was a child in rural Kentucky. My grandmother, Granny Hi, was known for making wild-crafted healing teas and tonics. I would often accompany her on horse back when she would administer her tea to sick and ailing people. She taught me how to create potent healing formulas, which could treat a variety of ailments. During my time in the United States Navy, I suffered a near-death experience resulting in extensive health problems, years later diagnosed as post-traumatic stress disorder (PTSD). Remembering the herbal formulas of Granny Hi, I used them to heal and rejuvenate myself. With a renewal of health, I was able to pass a rigorous first-class flight physical and become a well-respected international airline pilot.